The blogs have been few and far between lately — time in the desert will do that. 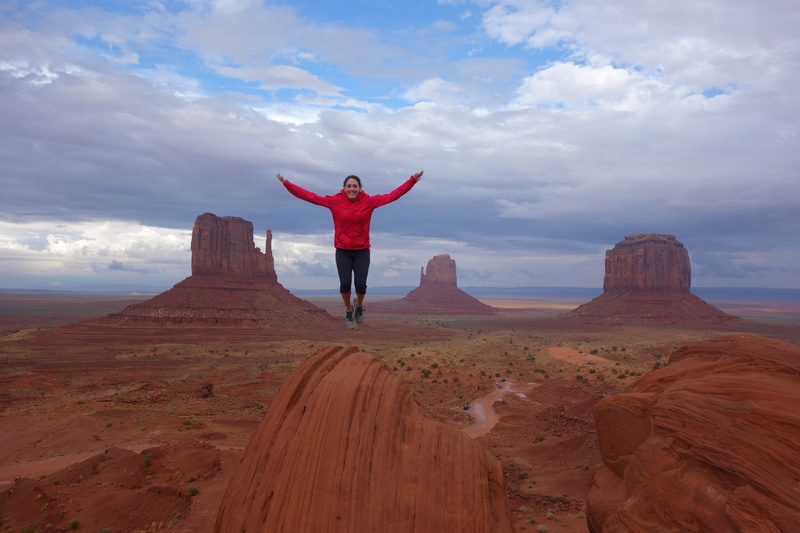 We’ve spent the last few weeks exploring amazing scenery of the southwest United States — some of it quite remote, but all of it spectacular. 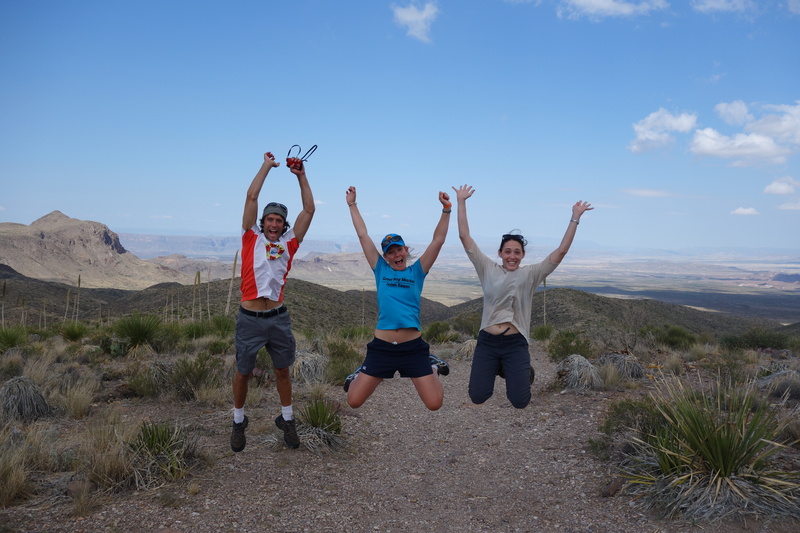 After a few sweltering days in Austin and a night in the European-style canal city of San Antonio, we were itching to get back out into wide open spaces. 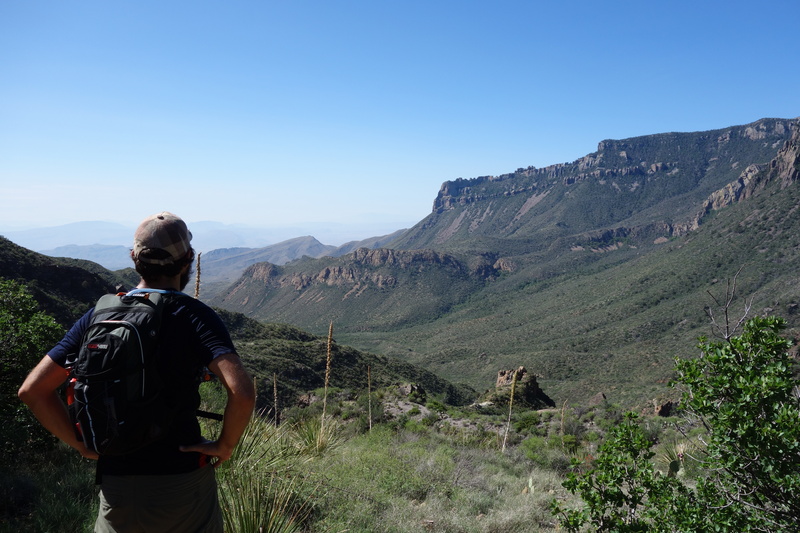 Big Bend National Park is certainly “getting away from it all”. 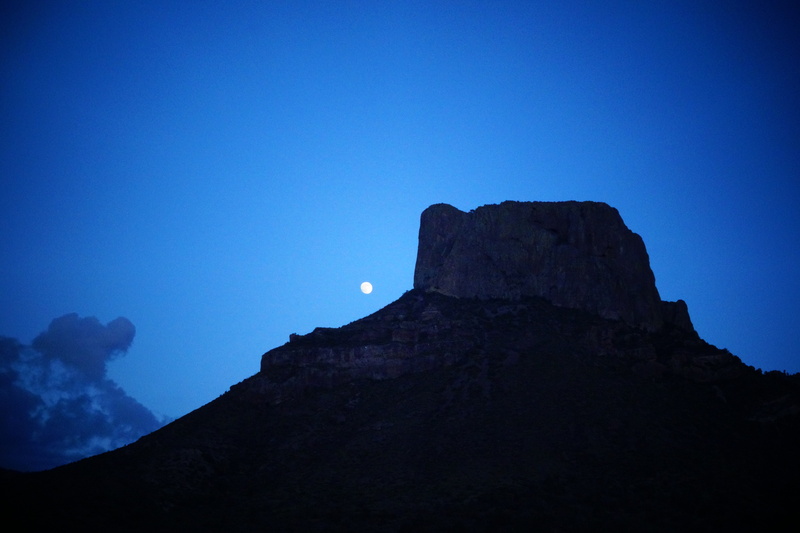 On the Rio Grande — a long and winding border with Mexico — it’s a six hour drive from San Antonio, with only a few blink-and-you-miss-it towns on the way. But it’s definitely worth the trip. 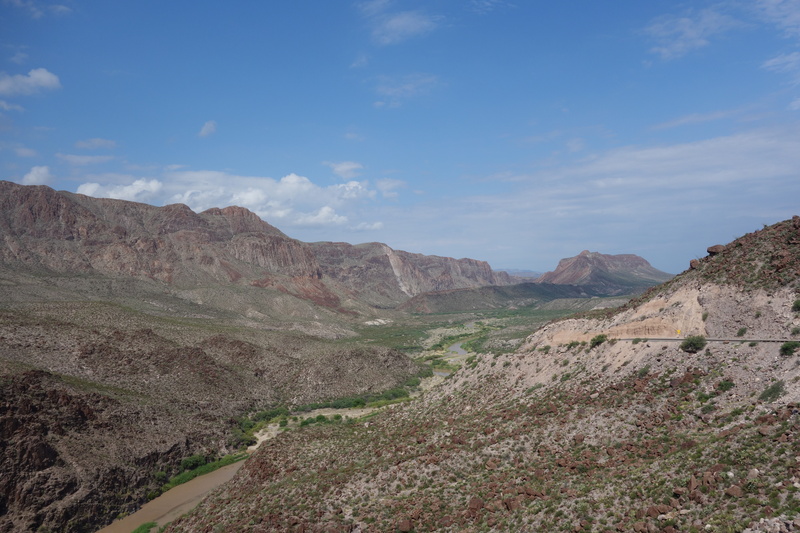 Desert, mountains, and the Rio Grande itself converge to create a surprisingly varied landscape. It’s also apparently the perfect habitat for mountain lions and bears (although thankfully we didn’t see any). 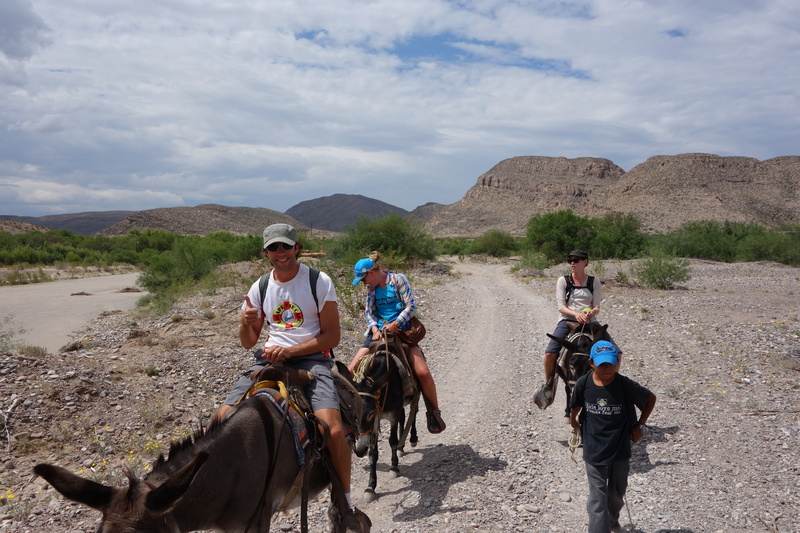 We camped under a blanket of stars unparalleled to anything I’ve seen before, enjoyed a quick trip to the tiny, dusty Mexican border town of Boquillo (accessible via row boat and donkey), and hiked the gorgeous Lost Mine trail. We also managed to time our visit with a reunion with our New Hampshire mates Jane and Trev, who were on their own road trip from Colorado. Good times! 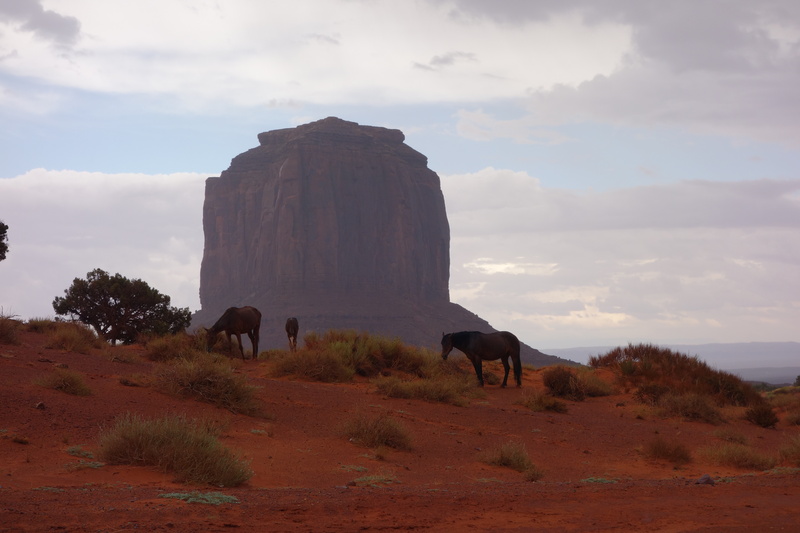 Cue up the western music and John Wayne films — Monument Valley is iconic cowboy country. The stunning scenery on the road from Texas, including a winding road through desert and over the Guadalupe Mountains, meant that we had high expectations by the time we reached New Mexico’s famed red rock landscape. Even with cool, misty weather, we weren’t disappointed. 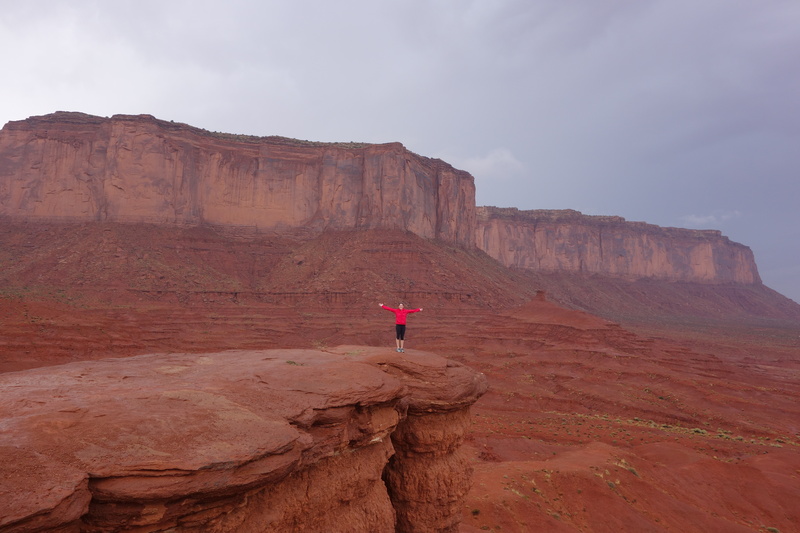 Giant, red mesas (flat-topped mountains), strong buttes, and crumbling spires towered above us on the precarious (and very muddy!) 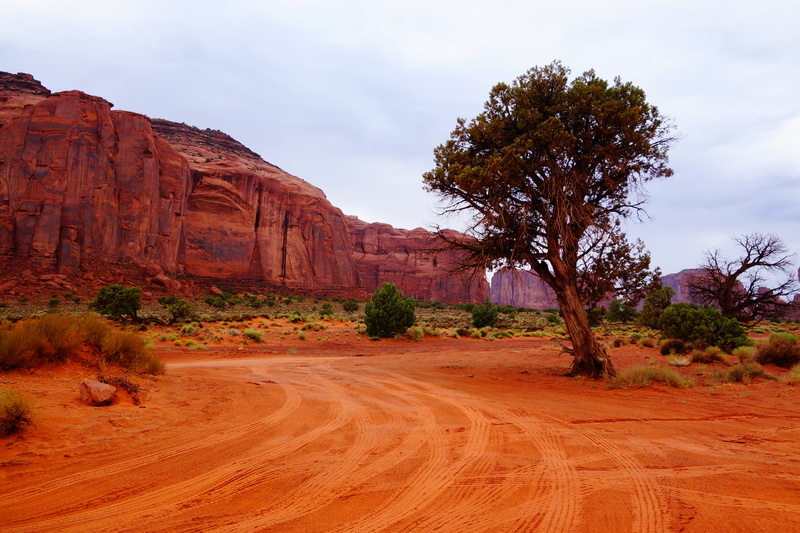 drive through the Monument Valley Navajo Tribal Park. It really felt like someone had painted in the scenery, it was that beautiful. Less impressive was the Four Corners area, where the states of Utah, New Mexico, Colorado, and Arizona meet… But it’s a drive to the middle of nowhere where there’s not a whole lot to see! We also spent some time checking out the ruins of ancient Puebloan Native American sites in New Mexico, first at the huge Chaco Canyon and then at Salmon Ruins near Bloomfield, NM. 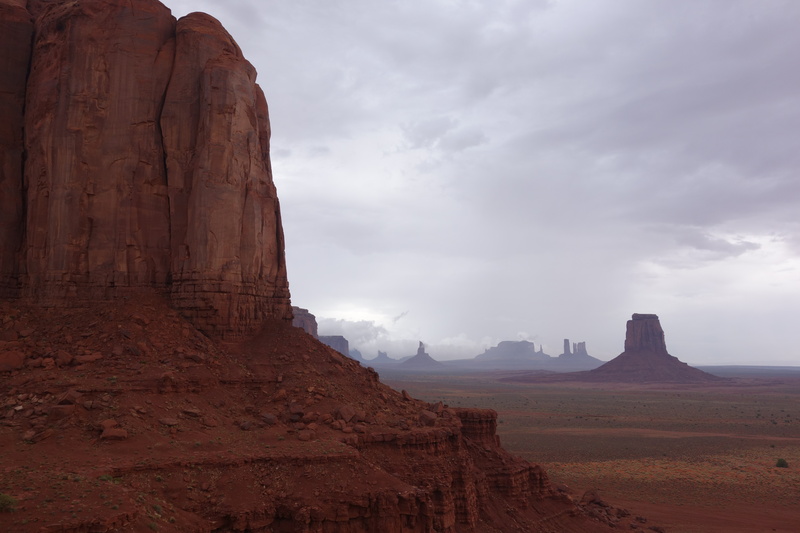 In the middle of summer, it can be hard to believe that whole communities lived out in the desert heat. Thankfully, much of the area has been well preserved. You can still view petroglyphs on the cliffs, walk through ruins, and peer into nearly complete kivas (circular religious rooms) that are thousands of years old. 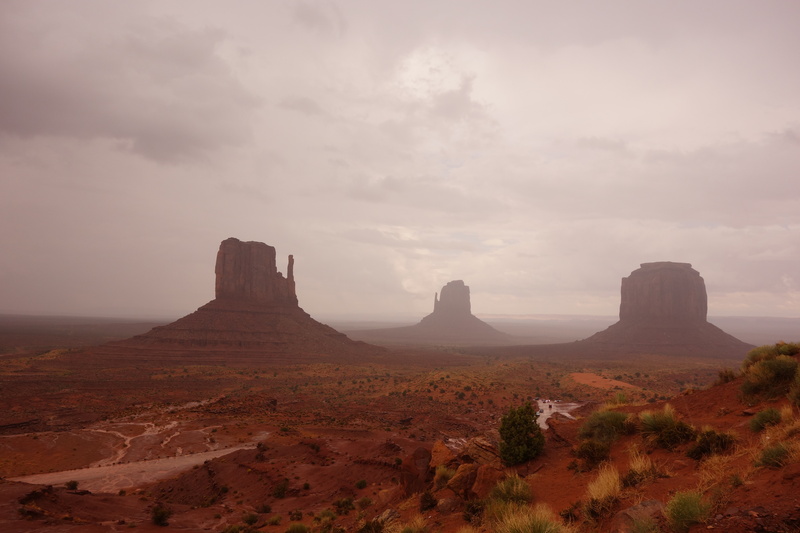 There’s a lot to see in the southwest — we also spent more than a week in Utah, which is where part two of this post will pick up! 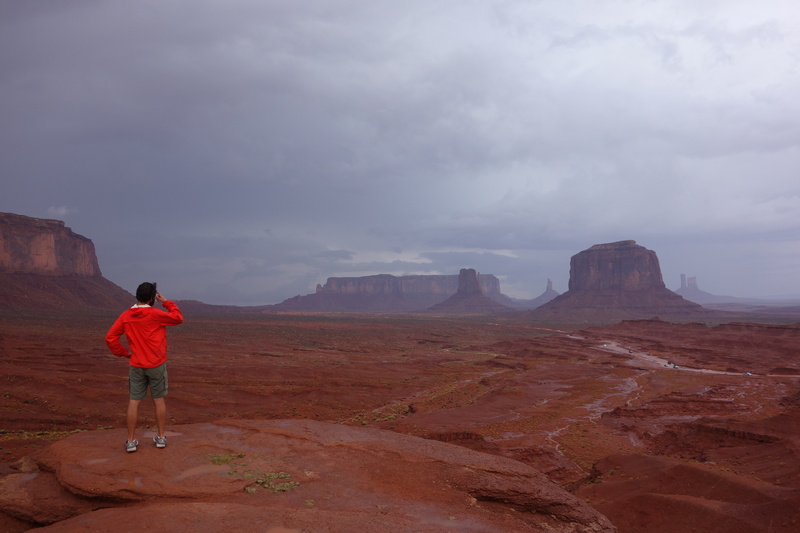 Wow – Monument Valley looks stunning. I’m sure the mist really helped to bring out the red colors too!